When does Term 1 2011 begin? What is the new name for Bridgewater High? When are the uniform sales? Where are the "after-the-fire" photos? Our printed newsletter to parents, Info, is given to students to take home. 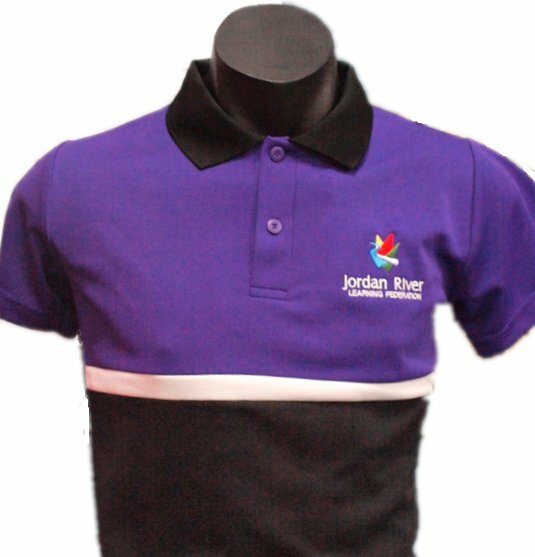 It is compulsory for all students at the JRLF Middle School and Senior School to wear full school uniform. The Education Department has granted $120 to each of our students from grade 6 to 10 in 2011 for the purchase of new uniform at the beginning of the year. These students will therefore receive a $120 credit to purchase uniform from the school uniform shop. If uniform requested is over the $120 amount credited you will need to pay the amount over $120. Levies of $250 for Middle School students and $350 for Senior School students are paid at the times above (see yellow box). All items needed by students for learning will be supplied and distributed by the class teacher during the first week of school. Arrival 8.40am. Meet and greet 8.45am. Classes start 9.00am. Finish 3.00pm. Arrival 8.55am. Home group 9.00am. Classes start 9.15am. Finish 3.15pm. Congratulations to the whole Rock Eisteddfod team for a terrific performance last night. Bridgewater High won the Award of Excellence for School Initiative and the Award of Excellence for School Community Support, as well as a number of certificates and a plaque for being a Grand Finalist in the Open Division. Congratulations also to Riverside High for winning the Open Division, Rosetta High for coming second and Launceston Church Grammar for coming third. The SmokeFree SEA FM 2009 Rock Eisteddfod Challenge is sponsored by Quit Tasmania, Sea FM 100.9 and the Australian Government's Department of Education, Employment and Workplace Relations. A parent-teacher afternoon/evening session will be held after school today, Tuesday, 18 August. Reports for students in all grades were issued on Monday, 10 August. Parents and carers had been asked to arrange a time on Monday to collect the report from their child's home group teacher. Remaining reports were posted home last week. - 8 August 2009. Updated 11, 17 August 2009.
in a course of conduct designed to harass someone. Bridgewater High School students who receive even just one email message that upsets them should forward it to brh.abuse for our staff to deal with. The Education Department has a special web page on cyber-bullying and the removal of offensive material from web sites. Further information on cyber-stalking and email matters is contained in the issue of Info dated 6 August 2009. See also the Australian Government's Tasmanian cybersafety policies web page. Bridgewater High has a new principal. 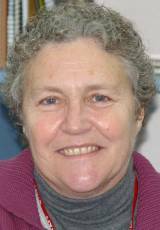 We are pleased to welcome Mrs Rosanne McDade who commenced at the beginning of Term 2. See our Contact Us page for details of how to contact Mrs McDade and other staff. In our newsletter, Info, of 9 July 2009 we included a reminder about claiming the Education Tax Refund. You can find out more information about this 50% refund from the Tax Office's special website or by phoning them on 132861. We also pointed out that you can claim the stationery component of school levies that you have paid if you obtain a statement from the school. To obtain a statement phone our School Executive Officer on 6262 5500. To see the latest information on the swine flu threat and how parents and students can keep up to date, see this special swine flu web page. Students showing symptoms of any kind of flu need to stay home for seven days. - Dated 10 February 2009. Updated 22 June. School begins tomorrow, Wednesday 11 February 2009. For tomorrow only, when you arrive at around 8.30am, go straight to the netball courts for a short assembly. If you are arriving by car it will be quicker for you if you are dropped off in Green Point Road rather than in Eddington Street. 2009 begins on a WEDNESDAY! Students return on Wednesday, 11 February in 2009 - NOT on a Thursday as has usually been the case in recent years. This changed date for students in southern Tasmanian high and primary schools was announced earlier this year. Many websites and 2009 diaries being sold in shops give the incorrect date of 12 February as the starting date. Be aware, too, that for north and north-west Tasmanian schools the students return on 10 February. You can check term date information on the Education Department's website or by phoning the recorded information line on 6233 7536. The procedure for issuing books and stationery to students has been changed for 2009. Instead of book packs being issued to students in February, the students will be provided with stationery items throughout the year as required. If you have any queries regarding levy payments or eligibility for student assistance please call the School Executive Officer on 6262 5500. Levies for 2009 will remain at $350. If you have difficulty in meeting these payments or have received an invoice and believe you should be on student assistance then please contact the School Executive Officer on 6262 5500. Events are coming thick and fast as we head towards the end of the year. - Dated 9 December 2008. Updated 14 December. Monday 17 November is a Student Free Day when students stay home to enable all staff to work with personnel from Learning Services South East to analyse our NAPLAN data and to make plans for future literacy plans. NAPLAN stands for "National Assessment Program - Literacy and Numeracy." It is a program of coordinated testing of the literacy and numeracy skills of students across Australia which enables individual states and schools to receive feedback about strengths and weaknesses that they can act on. We will also be working on developing the timetable for 2009. If any students turn up on Monday we will provide supervision for them. Students and staff were overjoyed when the judges announced that Bridgewater High was the senior winner in the Rock Eisteddfod Challenge held in Launceston on 22 August. The other school we were competing against - St Michael's Collegiate - presented a terrific performance. We received 13 Awards of Excellence, including the entertainment award. Click on "VIEW & ORDER YOUR PHOTOS HERE", then "ROCK EISTEDDFOD CHALLENGE", then scroll down and type the special password provided at school. The photos are available only for about 30 days after the date of the Rock Eisteddfod. - Dated 23 August 2008. Updated 29 August. Teachers will be available for individual appointments on Monday - tomorrow, 18 August, from 3.15pm to 4.45pm. Details were provided in Info of 7 August, but if you don't have that issue simply write down the names of the teachers you would like to see, and the approximate times for each, then ask your son or daughter to pass this information to the Home Group teacher by Monday morning - or you can phone the school on 6262 5500. - Dated 13 August 2008, updated 17 August. Mid-year reports will be available on Tuesday 5 August 2008. Parents and guardians are asked to collect the reports in person from the Home Group teacher. In the latest issue of Info (31 July 2008) is a form on which a likely time of collection between 3.15 and 4.45pm can be indicated. Students are asked to return this form by Monday, 4 August. If you don't have this issue of Info, simply phone the school with a message or write down your intended approximate time of collection and your child's name on a note for your child to return to his or her Home Group teacher on Monday. Normal parent-teacher sessions allowing discussions with your child's various teachers will be held soon at a date to be advised. Bridgewater High School students will interview the Opposition leader, Will Hodgman, on the ABC Radio breakfast program after 7.00am tomorrow, Thursday 24 July. You can listen at 936 on the AM band or at www.abc.net.au/hobart/radio/: under 'Streaming Audio', click on 'launch player'. - Dated 23 July 2008. Semester 2 ends today, Friday 18 July 2008. Semester 3 begins on Monday, 21 July. Semester 2 was originally planned to end on 25 July but the end has been brought forward by one week. The Friends of the Farm's Christmas in Winter fundraising dinner will be held at the Bagdad Community Centre this Saturday, 21 June. See the Friends of the Farm notice for details. Feedback on the BASMERT report is due by Wednesday this week, 21 May. You can download a copy from the Education Department's website - click on the link to the report. - Updated 18 May 2008. Link updated 16 August 2009. The BASMERT Report to the Minister for Education was released on Wednesday, 30 April 2008. A copy can be downloaded from from the Department of Education's website or collected from the Bridgewater High School office. The Minister for Education and Skills, David Bartlett, has issued two statements about the report. In a media release that summarises the recommendations in the report, he described the proposals as "groundbreaking" (30 April 2008). 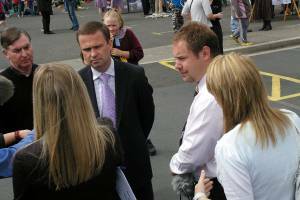 And he has said that the school farm would remain (2 May 2008). BASMERT has released the report on the views and points made by members of the local community who were consulted over the future of education in the area and the building of a replacement for Bridgewater High School. Note that this is NOT the final report that BASMERT is required to present to the Minister. The "Report on the focus groups and public workshop" was produced by independent consultant Janine Combes for the Bridgewater and Southern Midlands Education Renewal Taskforce. The 35-page report can be downloaded now from the BASMERT website. It will soon be made available on the Brighton Alive and Online Access Centre websites as well. You can also collect a printed version from the Bridgewater High School office. This report summarises views, points made and options, but it does not present final recommendations. It is among material being considered by BASMERT in producing another report that will contain recommendations for the Minister for Education to consider and will be handed to him very soon. A "Meet the Teachers" afternoon will be held for parents from 3.00 to 4.00pm on Tuesday, 29 April. This will be a useful time for parents to speak to teachers about the interim reports which were given to students to take home on Monday last week, 21 April. - Dated 20 April 2008. Updated 27 April. Our annual Fete at the Farm will be held tomorrow, Saturday 12 April. The Fete operates from 10am until packing up occurs around 3pm. TO THE FARM: The bus leaves from Shell Gagebrook at 9.45am, then from the new Bridgewater High School site (Eddington Street) at 9.55am. FROM THE FARM: The bus leaves the farm at 2.45pm to travel back to Bridgewater and Gagebrook. There's free parking at the Fete, and free entry - but for a gold coin donation you can buy a program and enter the draw for a bike. A News Sheet for Parents was sent home on Wednesday, 19 March. The school calendar was on one side and the two latest BASMERT reports (numbers 4 and 5) were printed on the other side. Copies of this News Sheet are available at the school office. Alternatively, you can read the BASMERT reports on the BASMERT website and see the calendar here. Issue Number 2 of our newsletter to parents, Info, was sent home on 14 March. Spare copies are available at the school office. The Fete at the Farm will be held on Saturday, 12 April. 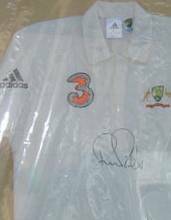 The ABC's Country Hour program is helping our school farm by auctioning a shirt signed by Ricky Ponting. See details on the ABC's website. UPDATE 25/2/08: The shirt has been SOLD for $2,500! See details in our latest Info. - Message dated 22 February 2008. Our old telephone number was 6263 7131. - Dated 2 February 2008. Updated 15 June 2008. Monday (25 February) is a normal school day at Bridgewater High. Some nearby schools are having a Student Free Day on Monday but there is no Student Free Day at Bridgewater High. Our students are attending school as usual on Monday. We intend to include a list of Student Free Days in the next issue of our newsletter, Info. Our newsletter to parents, Info, is normally given to students to take home on Thursdays. However, last week we sent home a special news sheet on the students' first day, Monday. We expect to distribute the first issue of Info on Thursday this week, 28 February. - Message dated 25 February 2008. On the buses page we've placed new Metro bus information that takes account of the school's move to the Eddington Street location. As the information could change, students should listen for any updates at school and check the bus page again from time to time. - Message dated 16 February 2008. Parents and others with cars are asked to drop students off on the school side of Green Point Road or in Eddington Street rather than drive up into the car park in front of the school. On the first day, the best place to drop students off will be the school side of Green Point Road as that area is closest to the outside assembly that will be held to start the day. - Message dated 18 February 2008. All students will receive stationery packs when they return on Monday 18 February 2008. Unlike what has happened in previous years, there will be no "book sales days" during the holidays. The building improvements are preventing us from being able to specify dates in advance at the moment. By providing students with their stationery on the day they return, we avoid the problem of trying to predict suitable days for book sales. A "holidays" issue of our newsletter, Info, was available free from many shops and other locations in the local area during early February. As it contained basically the information available on this news page it was particularly useful for people without Internet access. The second BASMERT (taskforce) update was reproduced on the back page. You can download a Word or PDF version of the special Info. - Dated 4 February 2008. Updated 15 February. People who are thinking of enrolling their son or daughter at Bridgewater High this year are most welcome. Please first phone us on 6262 5500 to arrange for a time to come in. Address details are on our Contact Us page. Instead of going inside on arrival, students should gather in grade groups for a short whole school assembly that will be held outside - on or near the netball court in the corner of the school closest to the oval. Teachers will be on hand outside to tell students where the assembly will be held. There is no need for new students to worry about what to do as the teachers will be able to guide them. - Dated 8 February 2008. Updated 17 February. Uniform sales will be held on Thursday this week, 7 February, from 10am to 2pm at the PCYC in Greenpoint Road. Enter through the back entrance beside the supermarket car park rather than through the main door. A uniform price list was posted out on Friday 1 February - see story below. Because of continuing building activity, we are unable to hold the uniform sales at school. - Message dated 30 January 2008. Updated 7 February 2008. See below for information about the background to the new Jordan River Learning Federation. There is also information on the BASMLF pages of the Department of Education website. For earlier reports, see The new Learning Federation below. For earlier media releases, see the BASMLF website background page. 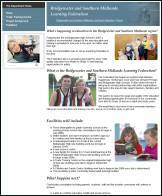 The Bridgewater and Southern Midlands Learning Federation's website is now operating. The BASMLF website includes a feedback page to encourage people to ask questions and make comments. Premier and Minister for Education and Skills David Bartlett opened Bridgewater High's new Materials, Design and Technology centre on 15 July. The facilities include a purpose-built workshop, a new computer design studio and improvements to a related classroom and teacher resource areas. 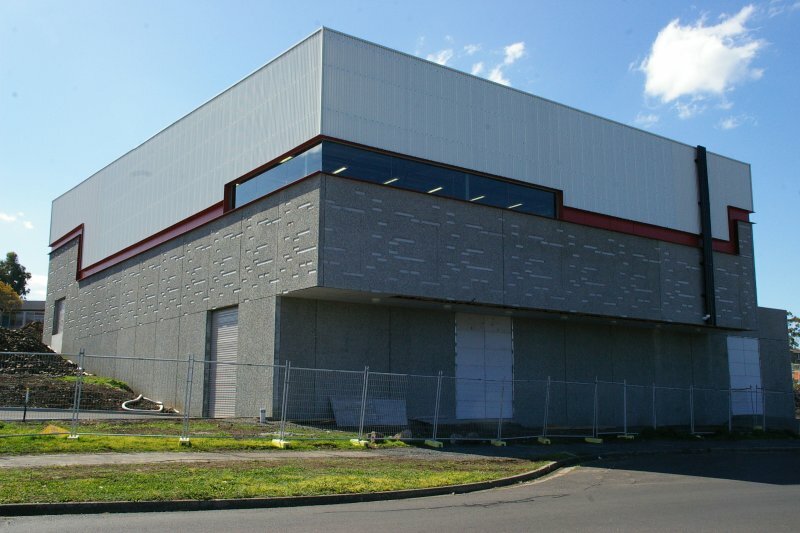 “The redevelopment was initiated to replace the loss of the MDT facility in the fire at Bridgewater High’s former site in late 2007," Mr Bartlett said. ‘It is the first expenditure of funds under the $30 million Bridgewater and Southern Midlands Education Renewal program." You can read full details in Mr Bartlett's media release. The name of the new Learning Federation is Bridgewater and Southern Midlands Learning Federation. The Learning Federation will provide the area with an integrated and collaborative approach by schools and other services such as health. The Learning Federation is the outcome of the state government's acceptance of recommendations of the report by BASMERT (the Bridgewater and Southern Midlands Education Renewal Taskforce). 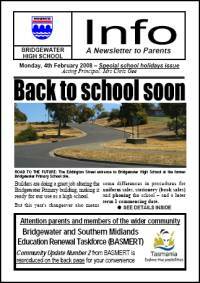 A report of progress to December 2008 was published in our school newsletter, Info, on 19 February 2009. The Learning Federation's manager, Andy Bennett, was appointed early this year. The name "Bridgewater/Brighton Learning Federation", used in the first five of the above reports, was the working title of the BASMLF. The BASMLF (Bridgewater and Southern Midlands Learning Federation) will have a website designed to provide easy access to information and to obtain feedback from students, parents and other members of the community. - Dated 22 June 2009. Updated 9 August 2009. 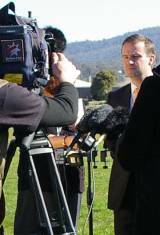 The Premier, David Bartlett, today (29/8/2008)announced the government's decisions on the future of education in our area, following consideration of recommendations from the Bridgewater and Southern Midlands Education Renewal Taskforce. Mr Bartlett assured the community that a new educational facility would be built on our old school site at McShane Road. The new facility would provide for grades 9 to 12 and adult learning. The current Bridgewater High School site at Eddington Street, which early in 2008 was converted from the former Bridgewater Primary building into a high school, will be further converted to become a grade 5 to 8 middle school. The recommendation to build a middle school in Brighton will be subject to more consultation with the Brighton community. The full details of Mr Bartlett's announcement are contained in his media release, "New Direction for Education in Bridgewater". A fact sheet (28K Word document) is also available. Mr Bartlett said the decisions announced today set the future direction for education and training provision in the Bridgewater and wider Southern Midlands community. - Dated 29 August 2008. Updated 1 September 2008. Links updated 15 August 2009. BASMERT's sixth update indicates it is still finalising its recommendations for the Minister for Education. Some Bridgewater High School students have presented the results of a survey of students to the Taskforce. You can read Update No. 6 in full on the BASMERT website. - Original date 18 April 2008. link updated 15 August 2009. The Bridgewater and Southern Midlands Education Renewal Taskforce has only two more meetings before the end of March when it must provide a report with a recommendation to the Minister for Education. BASMERT's fifth update mentions that at the next meeting the results of a survey of students in the area by a class of Bridgewater High School students is expected to be presented. For the full update, see the temporary BASMERT website. BASMERT will soon have its own website. A link will be provided at the temporary site. Update: see Community Updates on new site. - Dated 24 March 2008. Updated 15 August 2009. Collection of information by the Bridgewater and Southern Midlands Education Renewal Taskforce is almost complete. A survey of parents is still to be undertaken and one more Focus Group is still to be held. See their fourth update for a report on the previous two meetings. BASMERT has to provide a report to the Minister for Education by the end of March. - Dated 2 March 2008. Link updated 15 August 2009. The Bridgewater and Southern Midlands Education Renewal Taskforce benefited from the knowledge and experience of world-renowned expert in school management and school design Professor Brian Caldwell at its meeting on 7 February. BASMERT is the taskforce set up by the Minister for Education, David Bartlett, to produce options and recommendations following our school fire. The taskforce also received information from University of Tasmania Associate Professor Natalie Jackson, a specialist in demography, the study of population characteristics and changes. For a report of the meeting see BASMERT's third update on the BASMERT website. - Message dated 25 February. Links updated 15 August 2009. The Minister's taskforce looking at educational options for the area following our fire held a Public Consultation Workshop on Wednesday 20 February. People had a chance to hear what BASMERT has been doing, find out what kinds of educational options there are and give their opinions. The two-hour session was held at the Hilltop Granton. Information distributed before the session is on the Bridgewater and Southern Midlands Education Renewal Taskforce website. - Dated 9 February 2008. Updated 21 February 2008. Link updated 15 August 2009. The second update from BASMERT, the Minister's taskforce looking at options after the fire, is now available. It reveals that 73 local people have been selected at random and invited to take part in discussions about the future of education in the area. There will also be a public workshop for up to 100 people, likely to be held in the second half of February. Local councils have given their views to the taskforce. You can see the second update on the BASMERT website. A printed version is available locally. The update has been reproduced on the back page of a special issue of Bridgewater High School's newsletter, Info. See details below. - Dated 1 February 2008. Updated 20 February 2008. link updated 15 August 2009. 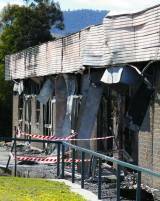 A fire at Bridgewater High School on Tuesday 23 October 2007 led to the relocation of classes and demolition of the building. From 1 November until the end of 2007, grade 7 and 8 students were located at Geilston Bay High School, and grade 9 and 10 were located at Claremont College. From the beginning of 2008, the school became whole again, with all Bridgewater High School grades located at the Bridgewater Primary School site. Bridgewater Primary School students and staff were relocated to Green Point Primary School. This temporary arrangement will last while BASMERT - the taskforce created by the Minister for Education - recommends what kind of replacement school should be built, and where, and while building takes place. The taskforce has been seeking the community's views and information from experts, as reported in BASMERT's December, January and Mid-February updates. A special public workshop was held. 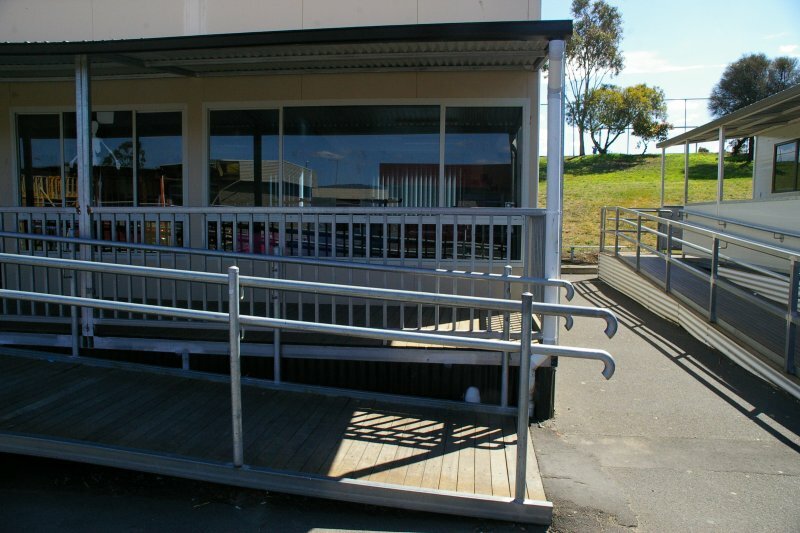 Considerable building alterations were undertaken for the location of Bridgewater High at the Bridgewater Primary site and for the co-location of the two primary schools at Green Point Primary. The start of the new school year was delayed slightly (for students only). Students in all three schools - Bridgewater High, Bridgewater Primary and Green Point Primary - returned on Monday 18 February 2008. Old "after-the-fire' news stories and photographs are now located on a separate page. 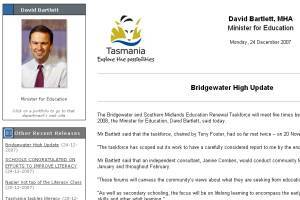 Bridgewater High School students will return to school on Monday 18 February 2008 instead of this year's general Term 1 commencement date for Tasmanian high schools of Thursday 14 February. The delay of two school days is to enable staff to complete final preparations for the holding of high school classes at the Bridgewater Primary School site. During the holidays, builders will be making significant changes to Bridgewater Primary to provide classrooms for high school practical subjects such as Science, Home Economics, MDT and Art. - Dated 14 December 2007. Updated 20 December 2007. Our Phys. Ed. department's supply of corks is lost forever as a result of the fire. Phys. Ed. 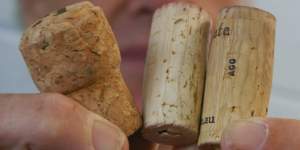 staff would appreciate receiving any corks that people no longer have a need for. The corks are used for a fun competition in our Aquatics Carnival which involves students diving into the water to retrieve as many corks as possible. Still to get your school magazine? Any students who are still to receive their school magazine can now collect it from the new Bridgewater High School site at Bridgewater Primary. But you first need to phone 6263 7131 to arrange for a time to go in. (Grade 10 students can also collect their reference if necessary.) Dated 18 January 2008.
validation forms (containing personal information such as who is to be contacted if a child becomes unwell). If you believe you need to update us with your current address please phone the school office on 6263 7131during office hours. - Message dated 9 January 2008. Updated 3 February 2008. The community's views about what kind of educational services they want from the replacement for Bridgewater High School will be sought soon. The Minister for Education, David Bartlett, said that an independent consultant will conduct community forums in the last two weeks of January and throughout February. "As well as secondary schooling, the focus will be on lifelong learning to encompass the early years through to Year 12, skills and other adult learning," Mr Bartlett said. Mr Bartlett also said that Bridgewater High School Co-Principal Mrs Chris Gee was working with a teacher and her class on a class-based project to get students' views about the educational needs of the area. "The class will work with students from other schools in the broader Bridgewater and Southern Midlands area," he said. "Following this consultation and other presentations, the taskforce will develop options which will go out to the whole community for consultation and feedback." The Bridgewater and Southern Midlands Education Renewal Taskforce has already met twice and will meet a further five times before presenting its report to the Minister by 31 March 2008. The taskforce established by the Minister for Education, David Bartlett, reported below, to look at what kind of new school should be built, and where, has produced its first update for the community. Community Update Number 1 of the Bridgewater and Southern Midlands Education Renewal Taskforce (BASMERT) points out that no decisions have yet been made and mentions that a wide survey of the community will soon be undertaken. Copies of Community Update Number 1 were placed in a large number of shops and other locations on Thursday and Friday, 20-21 December. This brochure can also be downloaded as a PDF file or Word document at www.ourbhs.com/taskforce. The brochure, and the website, explain what BASMERT has been asked to do and how they will be doing it, and provide details of the terms of reference, who the people on this taskforce are and a timeline. 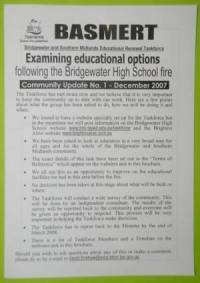 Until BASMERT has its own website set up, they will provide information for publication on the Bridgewater High School website at www.ourbhs.com/taskforce and the Brighton Alive website www.brightonalive.com.au. - Dated 18 December 2007. Updated 21 December. Police have increased to $20,000 the reward for information about the fire. See details on the ABC's news site. Information should be given to Crimestoppers on 1800 333 000. Grade 6 students thoroughly enjoyed their Orientation Day on Wednesday, 5 December and teachers were impressed with how happy and eager for high school they were. As Bridgewater High School teachers gave the students some lessons using the Claremont College classrooms, the students experienced a jump from primary school to college in one day! More information about the day is in the Orientation Day notice. All of the "after the fire" news stories and photographs are now located on the After the fire page. Bridgewater High will be located at the adjacent Bridgewater Primary School next year, the Minister for Education, David Bartlett, announced today. 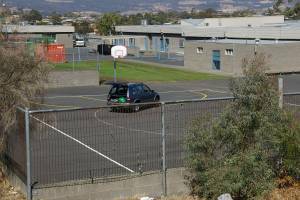 "I believe the best option is to co-locate Bridgewater Primary and Green Point Primary students on one site and to locate BHS temporarily at Bridgewater Primary," Mr Bartlett said. "Importantly, this decision will see the identity of the school maintained and ensure there are no extra transport requirements for BHS students," he said. "Students will have continued access to flexible learning programs in the area, particularly Pete's Shed and the Farm. "The use of the oval will be retained, and there will be space for temporary specialist accommodation if necessary." Mr Bartlett said that yesterday he had met with parents of the three schools involved and that extra funding would be provided to help with the change. You can read the full statement on the Minister's website. SEE ALSO: Minister announces taskforce below. - Dated Tuesday, 20 November 2007. The questions everyone is asking are: "What happens now? Will they build a new high school on the same site, or somewhere else? How can we best use this opportunity to bring college and other facilities for people beyond year 10 into the area?" The Minister for Education, David Bartlett, has created a community taskforce to look at all the possibilities. He made the announcement at the Community Health Expo on Wednesday. See the Minister's statement on the community task force. - Dated Thursday, 8 November 2007. MOBILE PHONES: Those using mobile phones should bear in mind that this page refreshes automatically each time it is accessed.